Larry Fieselman has been a staff attorney with the Litigation Department at Oak Tree Law since 2015. 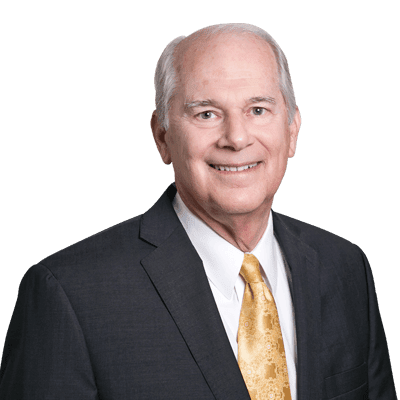 He brings his 37 years of experience working both as a solo practitioner and for several law firms, in the fields of bankruptcy, family law, and civil litigation to his work at Oak Tree Law. Mr. Fieselman handles a variety of legal disputes for everyday people who find themselves in financial or legal trouble, including cases involving allegations of breach of contract, whether an employment issue, a problem with a real estate sale, bankruptcy, trust or other kinds of litigation. Bankruptcy litigation usually involves claims against a debtor, or by a debtor against a third party for fraud, misrepresentation or breach of fiduciary duty. These complaints seek to classify some debts as non-dischargeable in a bankruptcy proceeding, meaning that those debts cannot be eliminated and the debtor will still be responsible for repaying them after the bankruptcy is concluded. Trust litigation usually involves a challenge to a trustee’s interpretation of a trust by an heir. Mr. Fieselman has served as a professor of law at Irvine University College of Law since 2014, teaching a wide array of subjects, including Constitutional Law, Civil Procedure, Property Law and Criminal Law. He also served as a Judge pro tem (temporary judge) in the Los Angeles Superior Court from 1983-1992, where he handled a variety of cases, including small claims, traffic matters and family law cases. Outside of his practice, Mr. Fieselman has served his community in many capacities. He founded a home for unwed pregnant teens in 1982 in Long Beach, California, where he worked for 10 years and provided pro bono adoption work. He was a member of the School Board for Lakewood Christian Schools from 2002-2008, and served as its Chairman from 2003-2008. Mr. Fieselman is a member of the California Bar Association and the American Bar Association. He was admitted to the California Bar and the United States District Court for the Central District of California in 1978, and to the United States District Courts for the Northern and Southern Districts of California in 1998. He received his Juris Doctor Degree from Southwestern University School of Law, Los Angeles in 1978. He is a graduate of Kansas State University in Manhattan, Kansas, where he received his Bachelor of Arts in Political Science in 1969. He enjoys photography, tennis, chess and reading.